To make the Cranberry-Ginger Syrup, simply add one cup of water, one cup of sugar, a piece of ginger (about an inch) and a handful of cranberries to a small pot. Simmer until all the berries have burst and it's a bright red color. Strain out the berries and ginger. YUM! 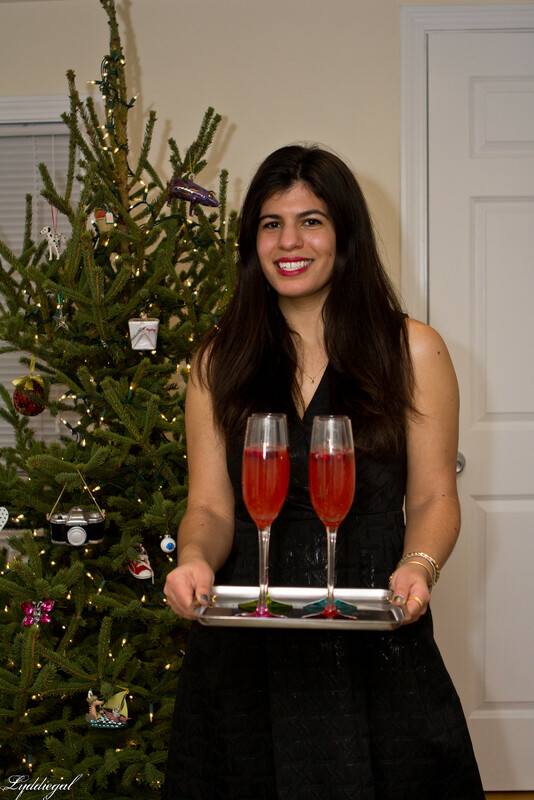 Also, your Christmas party looks so festive! 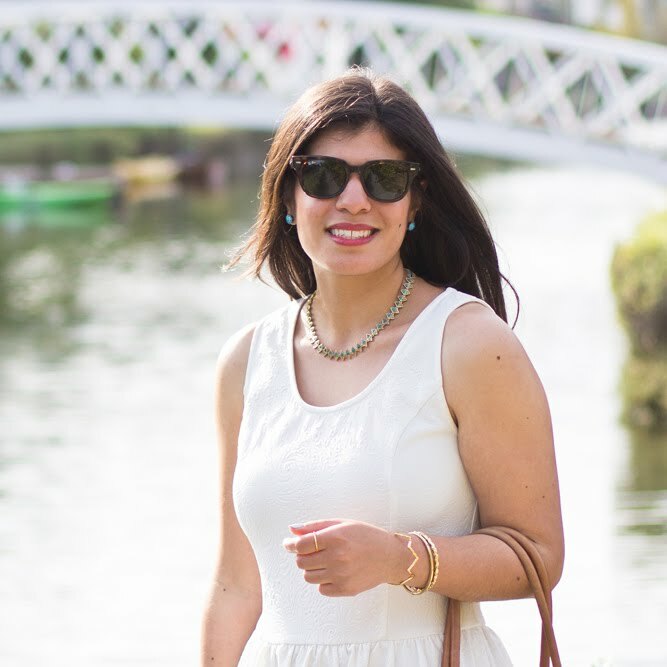 I love the boomerang that you posted, you looked, of course, super chic and happy! 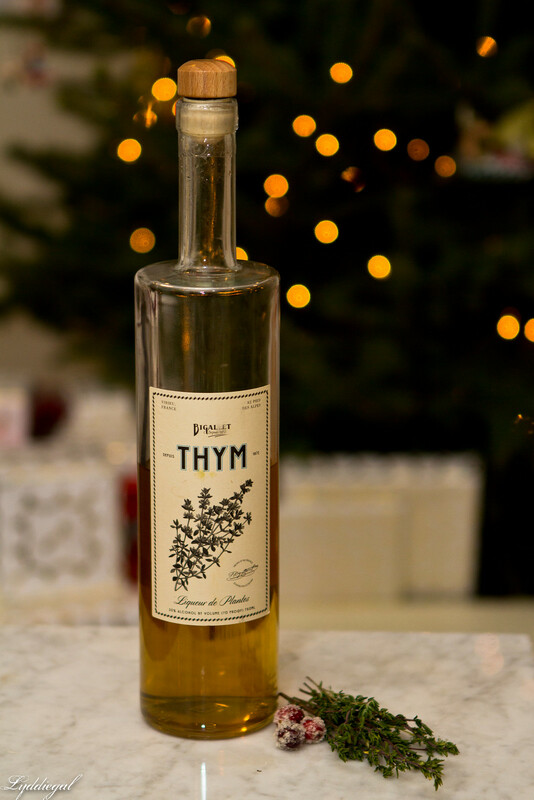 I have been so intrigued by the thyme liqueur since you last mentioned it but haven't been able to find it anywhere in Vancouver, so my search continues. 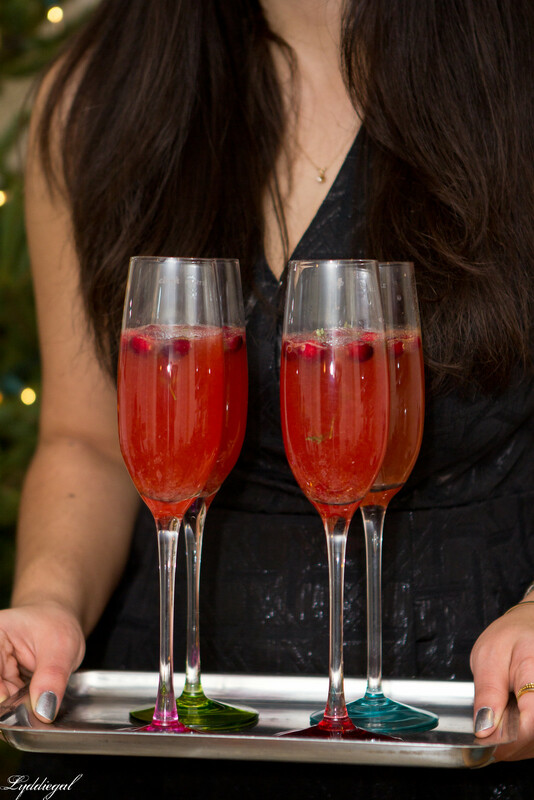 To be honest, I'm really not a cocktail drinker, anyway, it will be all champagne and wine at our holiday parties, but these do look wonderfully tempting and the colour is so appropriate for the season! I've never heard of "thyme" in liqueur... although I could use any type of alcohol right now. Ooh this sounds so good! I love cocktails that aren't overly sweet and this sounds perfect. 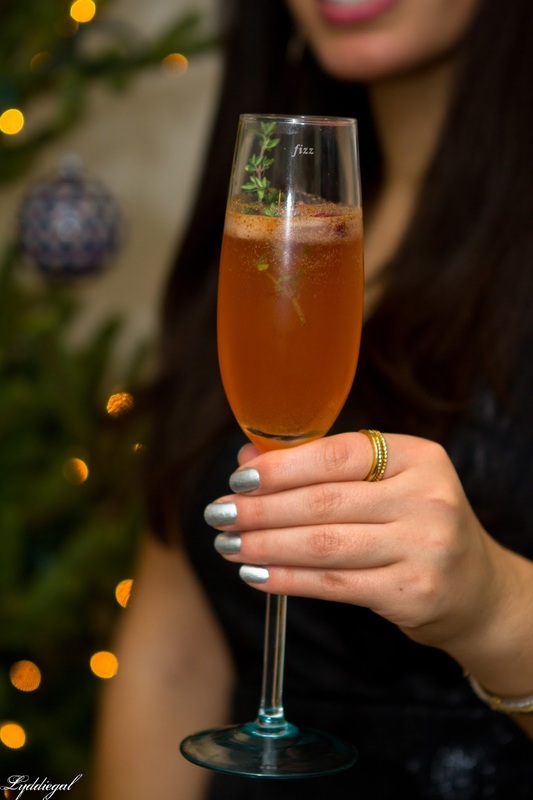 And I would never have thought of thyme flavor in a cocktail but it sounds SO good! hey lydia! i love sparkling spirits. this looks tasty.